MEDICINA DEMOCRATICA ONLUS E’ DA SEMPRE ATTIVAMENTE IMPEGNATA SU VARI FRONTI PER RIBADIRE L’IMPORTANZA DELLA TUTELA NELLA SALUTE NEI LUOGHI DI VITA E DI LAVORO. ANCHE PER IL 2015 E’ APERTA LA POSSIBILITA’ DI ADESIONE ALLA NOSTRA ASSOCIAZIONE (ONLUS DAL 2003). 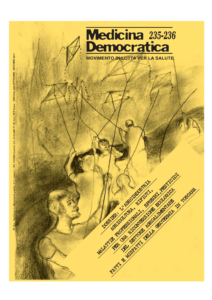 CON L’ISCRIZIONE POTRAI PARTECIPARE ATTIVAMENTE ALLA VITA DELLA ASSOCIAZIONE E RICEVERAI LA NOSTRA RIVISTA “MEDICINA DEMOCRATICA” CHE DAGLI ANNI 70 E’ UNO DEI PUNTI DI RIFERIMENTO PER LA LOTTA PER LA SALUTE. 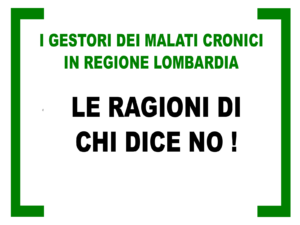 LA NOSTRA ASSOCIAZIONE E’ COMPOSTA ESCLUSIVAMENTE DA VOLONTARI CHE METTONO A DISPOSIZIONE IL LORO TEMPO -NEI LIMITI DELLE POSSIBILITA’ DEI SINGOLI-, LA LORO PASSIONE E LE LORO CONOSCENZE PLURIENNALI DI PROFESSIONISTI E ATTIVISTI NELL’ AMBITO DELLA TUTELA DELLA SALUTE DI VITA E DI LAVORO. PER CONOSCERE LA STORIA DI MEDICINA DEMOCRATICA ONLUS E I SETTORI IN CUI CI SIAMO IMPEGNATI, CLICCATE QUI. 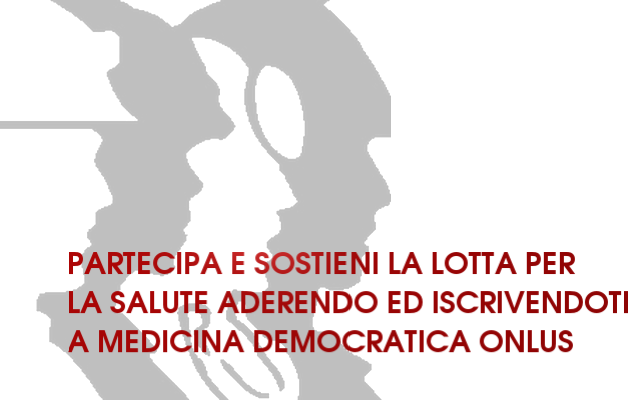 PER SAPERE COME ADERIRE A MEDICINA DEMOCRATICA ONLUS CLICCATE QUI. PER CONTATTARE I NOSTRI REFERENTI LOCALI CLICCATE QUI.